Laser Screed Machine: Faster, Higher, Stronger. Laser screed machine, simply speaking, is the standard plane of the laser, using the receiver to achieve high-precision control of the leveling head so as to achieve the effect of accurate and rapid leveling of concrete. Laser screed machine mainly consists of transmitter, receiver, laser measurement and control and computer control center. Laser is generated in the transmitting facilities. The receiving facilities receive this signal and then transmit it to the laser measurement and control. The computer receives the errors analyzed ,adjusts the scraper accordingly and scrapes away the redundant parts. This is the working principle of the machine. Laser, hydraulic and closed-loop systems are all high-precision equipment, which is a part obviously different from other processes. 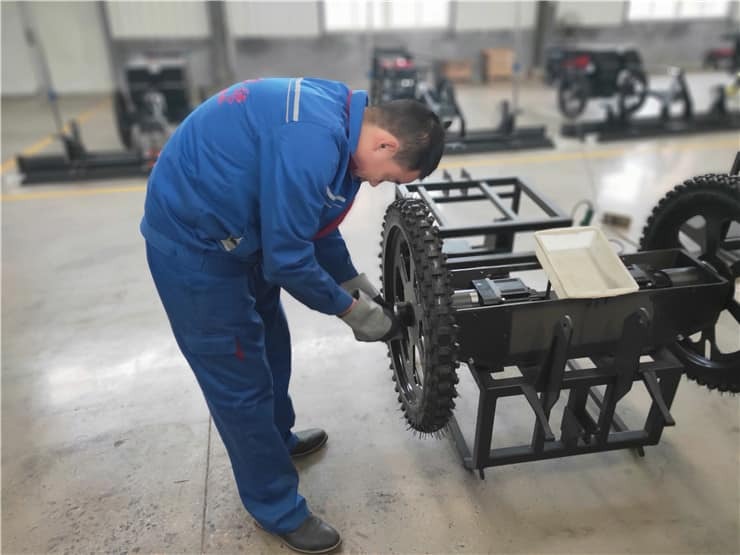 At the same time, it can do leveling, vibration compaction and many kinds of work in one go. It is a versatile hand. It is also worth noting that the laser transmitter controlling the elevation is set separately, so the elevation is not limited to the template, and is very flexible. Laser leveler is automatic in controlling the horizontal and vertical gradient. Even the ground with complex shapes, not a hard problem to solve, can be dealt with through the three-dimensional mode. Against the backdrop of the growth of modern industry, the rapid development of laser and electronics technologies, and the higher requirements of consumers, this machine was born to adapt to this situation. In terms of indoor environment, it is suitable for underground garages, industrial plants, workshops, industry plant of warehouses, electronics, food and pharmaceutical, large supermarkets, logistics centers, exhibition centers and so on. In terms of outdoor environment, it can also be applied to docks, cargo yards, airports, squares, municipal roads, residential areas, etc. The machine,boasting the advantages of improving density and strength, higher efficiency, and wide application range, is the best choice in the industry.